Richard Vargo, Gulf of Mexico Regional Manager for cementing at Halliburton is pictured here testifying before the National Commission on BP's Deepwater Horizon oil explosion and subsequent disaster. An adjustment of the glasses (without removal) is the equivalent of a manipulator, adaptor or pacifier ("MAPs). This should not be confused with taking off the glasses, cleaning them or chewing on the frames - these acts have different meanings. MAPs are signs of increased anxiety which are easily and most times subliminally transmitted to others. No doubt, Mr. Vargo is unaware of this tell, as most would be in his shoes, for it primarily occurs subconsciously or at the edge of consciousness. In some contexts, particularly if there is a sudden increase in frequency, MAPs can be a sign of deception. We self touch during times of increased stress in order to calm ourselves. Such behavior is a cross-cultural and ubiquitous. Interestingly, in some individuals and circumstances, such action may set up a feed-back loop and result in a higher baseline level of anxiety. 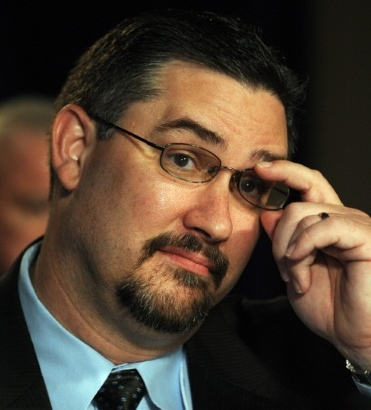 The next time you testify before congress, try your best not to self touch or even adjust your glasses.